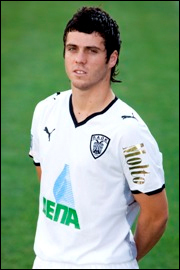 Vieirinha is continuing to set the Greek Leage alight, after he scored in PAOK’s 3-0 demolition of AEK Athens. The winger’s goal brought his tally to two goals in four games, which is an impressive return for a winger. Vieirinha has already been in impressive form for the Greek club this season, already having scored twice in the Europa League. His performances have gone largely unnoticed outside of Greece, however. A Portugal National Team call-up has been on the cards for some time now, but it always seems to not happen. With more performances such as this and against such opposition as Tottenham and Villareal, where he has been known to shine, a call-up may just be around the corner.